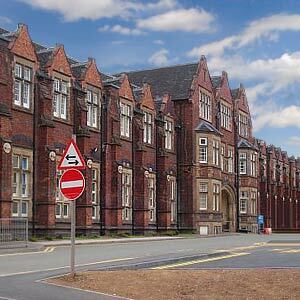 The Newcastle General Hospital is one of the oldest hospitals in Tyne, which grew out of the Newcastle Union Workhouse. The workhouse was set up as a result of the 1834 Poor Law Amendment Act and started providing accommodation for the able-bodied poor. Prior to this act, local parishes were responsible for raising and distribution of alms to the poor. The workhouse had wards for the sick, maternity cases; a residential school for children; dining hall; laundry; bake house; stick house and workshops. But with the increasing number of sick people, it was proposed by Henry Milvain in 1851 that a hospital be built on the site. Thus the Newcastle General hospital came into existence in 1870 on the same site. Earlier the hospital was referred to as the Workhouse hospital, Union Hospital or the Workhouse Infirmary. In 1921, the hospital was renamed as Wingrove Hospital to move away from the workhouse image. Later in 1930, the workhouse system was abolished and the Guardians handed the hospital over to the City Council. At that time, the name was changed to Newcastle General Hospital and it was in 1948 that it became part of the National Health Service. Traces of the workhouse still remain, although many of the old buildings have now been demolished. Medical Research Council (MRC) and Henry Wellcome Biogerontology occupy part of the site. Today the MRC building houses MRC Demyelinating Diseases Unit that subsequently became the MRC Neuroendocrinology Unit and was finally being replaced by the MRC Centre Development for Clinical Brain Ageing. The remaining farm buildings were demolished in 2001 to make way for the Henry Wellcome building.